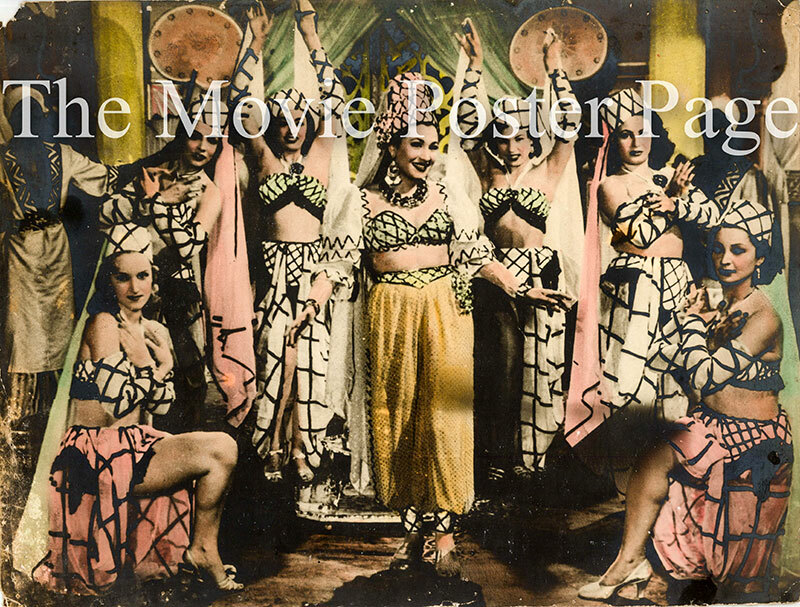 This is an 11.5" x 15.5" production still from the 1954 film The Barber of Baghdad written and directed by Husein Fawzi and starring Ismail Yasseen. Plot summary: A barber in Baghdad used to tell his customers about about his great grandfather, a barber during the Abbassid period, who tried to help his disabled son by buying him a wife. This item is available for immediate shipment. It is variously known to the public as a Barber of Baghdad still photo, a Barber of Baghdad film still and a Barber of Baghdad movie still.